Tommy Stoughton is a graduate of the University of North Carolina at Chapel Hill with a Bachelor of Arts degree in Business Administration and a graduate of East Carolina University with a Masters degree in Business Administration. 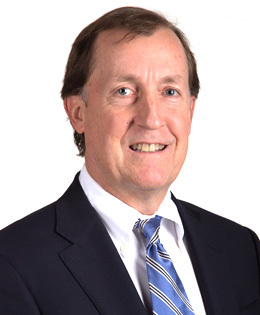 Tommy has been a resident of Greenville for most of his career; working in real estate since 1990 with a focus on the development and leasing of commercial properties. He has hands on experience in industrial, retail, multi-family and hospitality transactions. In April, 2013 he joined Kittrell and Armstrong, LLC as a partner. Tommy has completed transactions with numerous well-known companies including WalMart, Walgreens, Food Lion, Aldi, Dollar General, O’Reilly’s, Moe’s Southwest Grill, CiCi’s Pizza, Government Services Administration, Vallen Distribution, Great Harvest Bread, Sheetz, First Bank, TowneBank and State Employees’ Credit Union.